Losing weight is a chore. Endless hours spent on the dreadmill is fun to almost no one. The most frustrating part is that after all of that healthy eating and activity, you still don't feel like you are seeing the results you want. You're pushing yourself to the limit; there can't be anything else you could possibly do, right? Wrong. By instituting small dietary changes and eating habits into your lifestyle, you'd be surprised how many calories you can avoid every week. When you eat veggies, it's no secret that extra calories are part of the package deal when you add butter or oil. In all reality, you might think you are making the right decision here, but it's not putting you on the path to perfect health. If you go out to eat, keep sticking with the veggies, but request them steamed. Make sure there is no added butter or oil in the mix. That situation will easily pack on 119 calories per tablespoon of olive oil or 102 calories per tablespoon of butter. And who honestly sticks with only one tablespoon? At home, it's easy to get heavy handed too. You may think you're pouring one tablespoon, but three is an easy number to pour on. Season with salt and pepper instead, or add some garlic pepper. Still too bland? Come up with a special spice blend you can throw in to kick up the flavors. Or eat your veggies raw with a healthy dipping sauce. It's kind of like creating your own crudites (fancy, right?) without all of the extra calories. Plus you get to control the calories if they are on the side. Request these same items when you go out to eat. 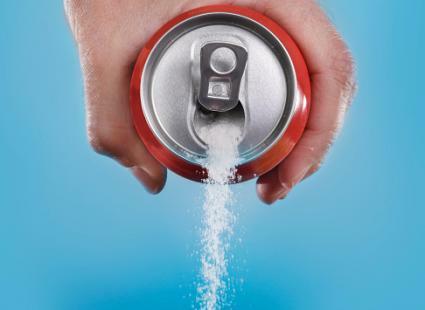 Alright, it's a well-known fact that soda isn't good for you whether it's diet or regular. Sugar packs on the pounds, and all the chemicals involved are a whole new realm of issues. Here's the thing: swapping the soda out for sweet teas or "organic" store-bought cranberry juice isn't improving the problem. In fact, it is just a wolf wearing sheep's clothing. Syrup-filled, Gold Peak Sweet Tea can boast 120 calories with 32 grams of sugar per 12 ounces, and Lakewood Pure Fruit Cranberry Juice has 24 grams of sugar and 120 calories in an 8-ounce serving. Imagine if you had three of these a day--that's 380 calories. Holy mountains of sugar! When you make beverage exchange, be sure to level up with your decisions. Tea isn't always the best choice if you need a bucket of sugar for it to be palatable, but explore some fun flavors. Stash has an amazing Red Chai Herbal Tea. Add a small splash of honey--if you must. You can also create some water infusions. Here is a great Spa Water recipe (it's zero calories by the way). If you just can't ditch the bubbly stuff, buy a soda machine. This way you can control the ingredients you are ingesting and can do the research required to find healthy brands. Too expensive? Get some Perrier and mix in a bit of sugar-free Torani syrup (you get to choose the flavor!) to make an Italian soda. It's easy to keep shoveling food down when the task itself is simple to accomplish. Have you ever caught yourself mindlessly chowing down on a bag of potato chips in front of the TV when you're not even hungry? Chances are that you are eating out of habit versus out of necessity. It's ok to snack now and then, but when one glass of wine turns into a nightly ritual of half a bottle with a bowl of ice cream and a side of pretzels--it's no bueno. Make it a little more difficult on yourself by restricting your intake with the use of only your non-dominant hand. You can't hold a glass of wine AND eat with the other hand. You can only use one hand for all of your eating and drinking needs. This allows your stomach to fill up, and you'll find that you really don't want to deal with the effort after a while. Your non-dominant hand makes you think about your food rather than mindlessly eat. Variable dependent on meal size, but overall intake averagely drops by 30 percent. On a daily 2,000-calorie diet, that's roughly 600 calories per day! On the same 2,000 diet, this is 4,200 per week. For the typical person, there's more time in between lunch and dinner than there is between breakfast and lunch (come on, we've all counted down the hours at our desks before). Although it might be tempting to grab for that mid-morning granola bar, it's only packing on unnecessary calories. Especially because you might be snacking in both the morning and the afternoon. For example, Fiber One packs 140 calories per bar--yikes! Two snacks per day can easily set you up to an additional 300 calories. 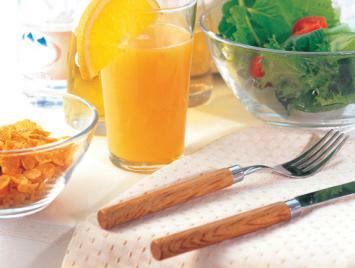 Instead of adding that extra mini meal (literally), opt for a heartier breakfast that will sustain you until lunchtime. Oatmeal with fruit or eggs with avocado and whole-grain toast are good examples. You get protein along with healthy fats to keep you full. When you need a snack, grab one in the afternoon when there's a longer stretch of time. Unsalted almonds fill you up, as will whole-grain pita chips with hummus, or even a mini tuna wrap--if you feel like putting in the effort. If your tummy is rumbling in the morning, get up and walk around. This will get your mind off of food. Take a lap or two around the building with a friend--try to be brisk with your pace. Maybe you can even work your way up to lunch time walking too (after you're done eating that well-deserved meal, that is). Burn calories instead of adding calories in that time. The Mayo Clinic reports that walking at a moderate pace can burn 204 to 305 calories an hour. Based on that, a 15-minute block might burn 60 calories. A snack and lunch walk could burn you 180 to 300 a day! 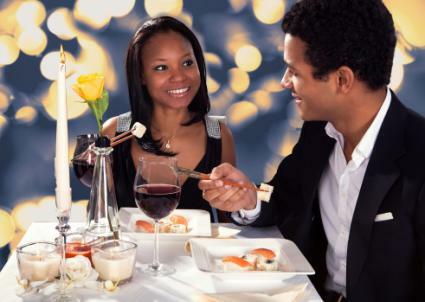 When you go on a date or eat with someone you are attracted to, you eat less. Plain and simple. You're more self-conscious about what you're eating, how fast you're eating it, and not spoiling your image to the person you're trying to impress. Suddenly, that pasta isn't looking as great as that salad, right? Been there. It's not always easy to grab a date all the time, but it is easy to strategically plan your audience. Is there a restaurant where the hotties notoriously hang? Hit it up more regularly. Are you married? Try to treat mealtime more like a date night. Talk more. Bring those butterflies back. You might shave 100 calories off of your meal. After your meal, go for a walk instead of hitting the movies. Dinner and a walk are much better on your waistline than the popcorn with added butter or box of candy you might get anyway. Plus you get to talk to the person you are dating, rather than sitting and missing the opportunity to bond over your affinity for German Shepherds. According to the Mayo Clinic, a half an hour walk can burn 102 to 234 calories, depending on body size and walking speed. Sandwiches are a lunchtime classic, but the bread can really load up that calorie count. A BLT has two slices of white bread, which add up to 280 calories plus roughly a tablespoon of mayo. Another 94 calories to the bank. However, if you make this sandwich staple into a salad, you'll save 374 calories just in this example alone. Not to mention that you can add extra veggies and make a homemade vinaigrette instead of that heavy mayo. Think about it: you can actually add nutrition to your favorite sandwiches this way. Every now and then, splurge on the bread--it'll make it taste all the better! Literally. Every time you take a bite, put your fork on the table. Many of us rush through our meals without even tasting the fruits of our culinary labors. When did we get away from tasting our cuisine? Studies show that slowing down the mechanics behind your feeding period can decrease your caloric intake by 300 calories per meal and potentially 500 calories per day. If you drop your fork in between bites, there is obviously a much larger delay in finishing your meal. When you are chewing, you'll find yourself doing so to find the flavor rather than to finish the bite. It makes mealtime much more fantastic all the way around. When you do the math, these small changes carried out on a regular basis saves you an astronomical amount of calories every single week. 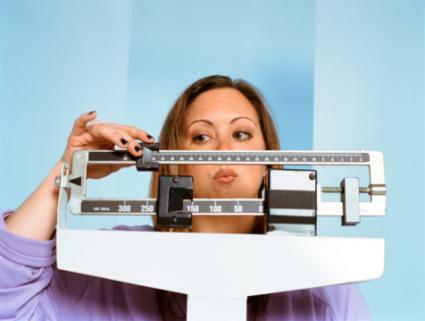 Doing little things like putting your fork on the table between bites, making your own soda, changing your dominant eating hand, and asking for steamed veggies could allow you to hit your goal weight in no time! Add on a well-balanced diet and an active lifestyle and then just imagine what you can achieve.